When it comes to our design and logo, we have had some adjustments along the way. 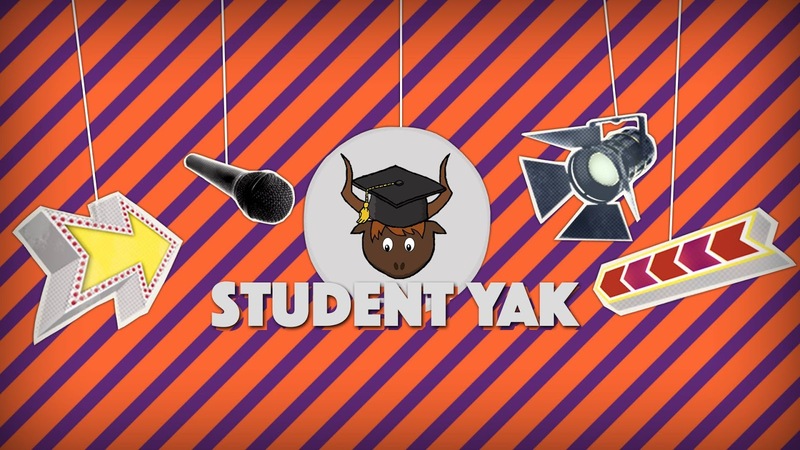 We started out with a sketch of stock photo´s that Josh put together of a yak with a graduation hat. As Josh is doing the graphic design for the studio background and graphics such as bumpers etc, he designed our header and website design. However, we all have agreed and discussed colours, layout and given input on how we all want it to look like in the end. From the last meeting and up until now, I talked to my friend Liselotte Hauer Kind, who is a graphic designer in Norway. And asked her to make a sketch for a logo to our brand. I passed on all the bullet points our group had put down of what we want in a logo. After receiving the sketches we concluded that we really liked them and that they were extremely well made. However that they were a bit too serious for out brand, and that they would fit a more cooperate serious brand. Which was a bit sad, having to turn down our designer. However, we all agreed that it would be better for us to develop the logo ourselves, that we already had. And spare her for unnecessary extra work trying to adapt her sketches as the graphic designer is a student herself and has a lot of other assignments going on. This is therefore the final result of our logo! Nisserin traced over and re-made the sketch we had into our own logo. It looks very similar but has enough changes to be accounted for as an own induvidual adapted piece, that we get to call our logo.